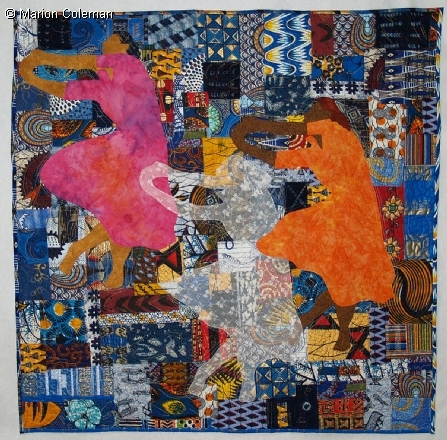 For over twenty years Marion Coleman worked in youth and family services, all the while crafting richly designed story quilts, a quintessentially African American form. 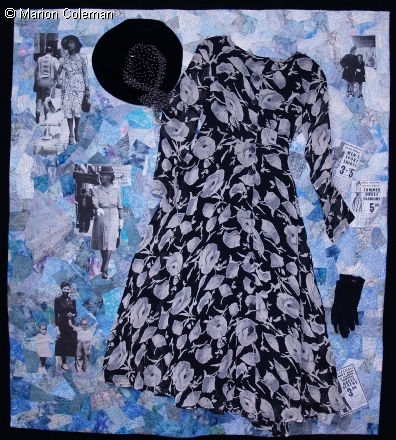 Made in collaboration with community and social organizations, her creations, many of which are public art projects, are about health, state and local history, imagery and roles of women, recycling, and other environmental issues. As a fine craft artist my work is inspired by people, history, social/cultural events and their impact on our individual and community relationships. 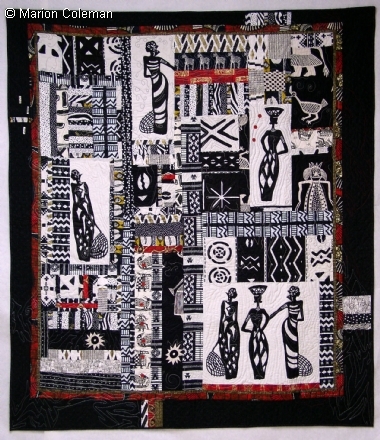 My work explores traditional and contemporary techniques related to quilting and fiber collage. I am particularly interested in narrative projects using technology combined with vintage and found materials. 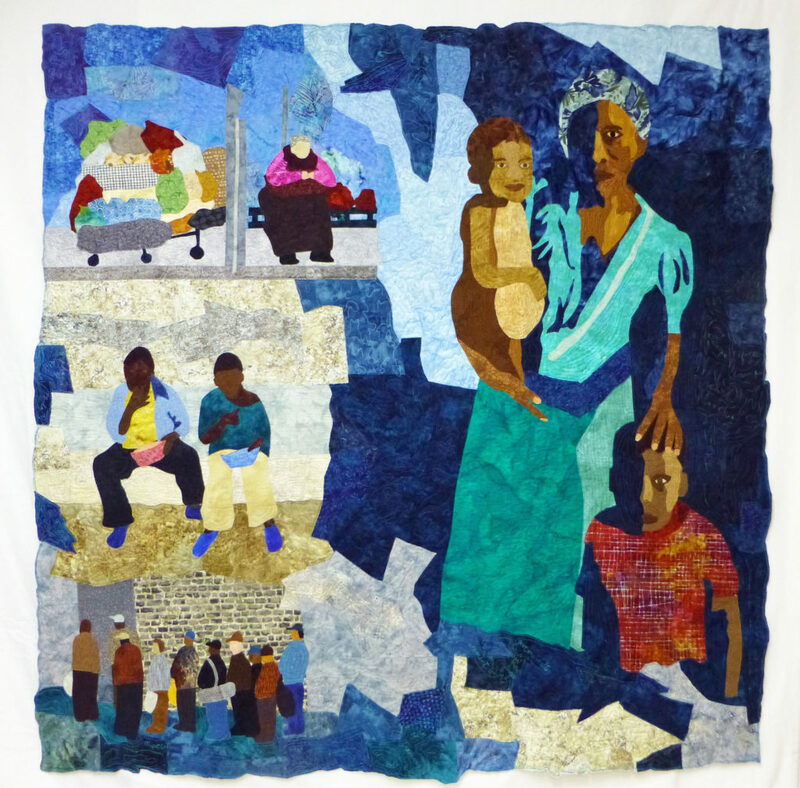 My work has its foundation in traditional quilting and shares roots with women who have used sewing and other needle arts for artistic expression and social community through generations. 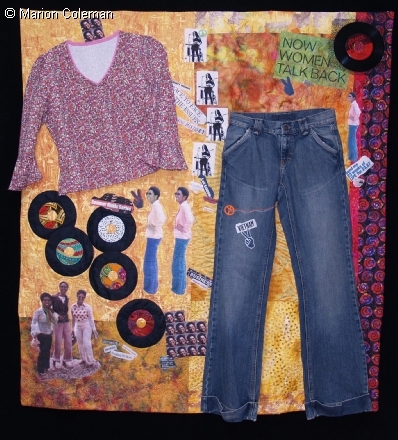 Although there are many similarities between my work and other African American narrative quilters, I have been striving to expand my range as I use a wider set of materials including plastics, whole garments, paper, and just about anything that will enrich the art and story I am presenting. I am most pleased when the viewer can identify with or is emotionally moved by the art I create. My goal is to promote discussion about the topic at hand, whether it relates to the definition of beauty or to human rights. 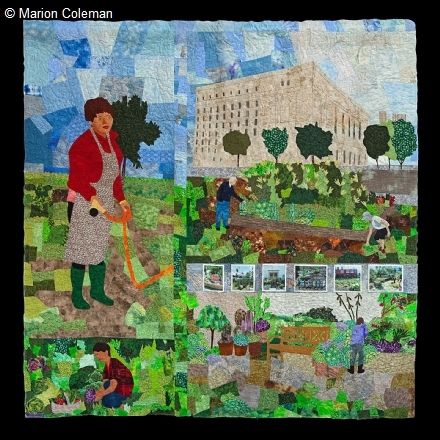 As an artist I want to encourage appreciation of and respect for textile arts. 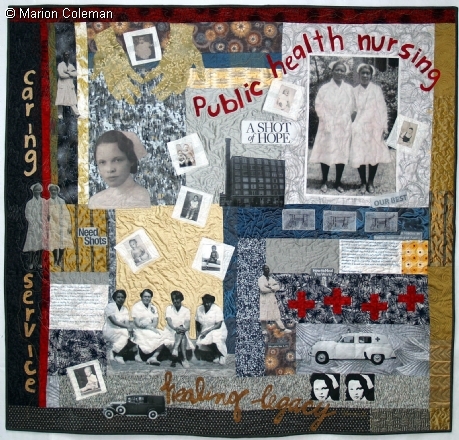 I remain grateful for the influences of quilters such as Harriet Powers, Nora Ezell and my great aunt, Corine Porter Miller. 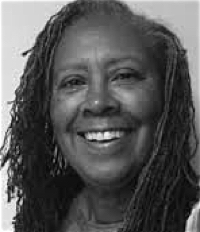 Coleman’s resume is extensive, from national and international exhibits to television programs, books, and articles. 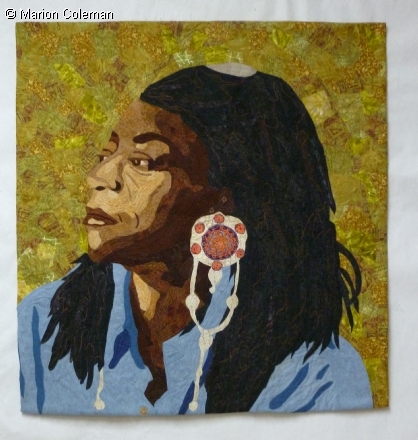 To learn more, head to her wonderfully designed website, www.marioncoleman.com/ . View More: Next piece "Time", Home, Archive. 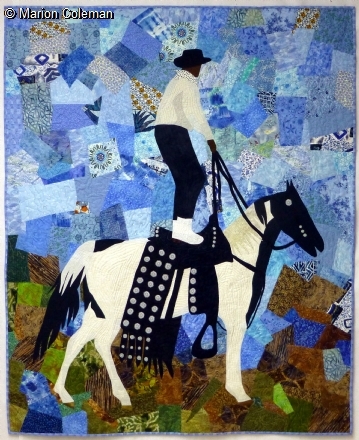 I am from Appalachia, so I have seen many beautiful quilts, but nothing like these! 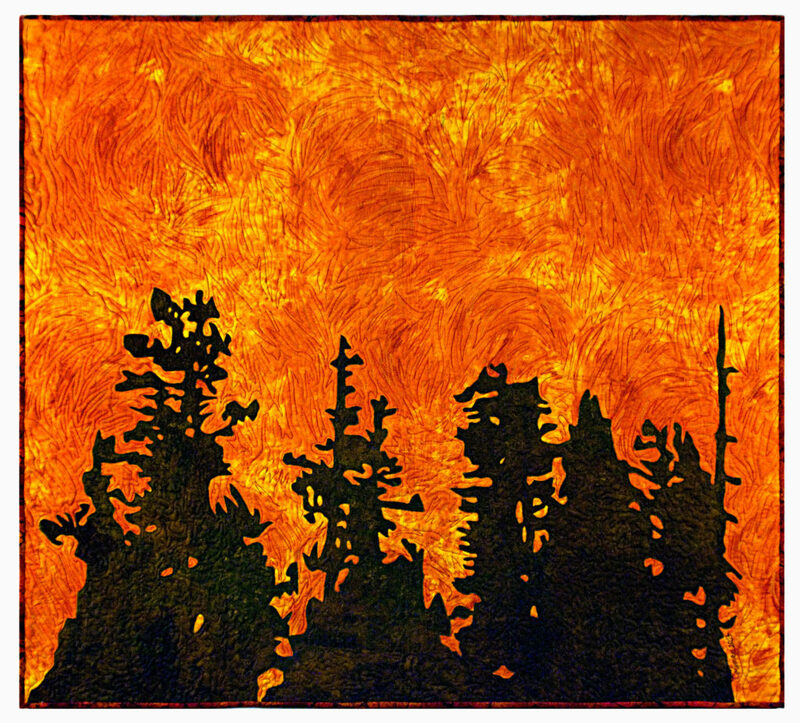 I am amazed at mixed media art. I would love to see your work in real life! How amazing these are! They constitute a spiritual adventure. Wonderful, powerful work. Keep on keeping on. 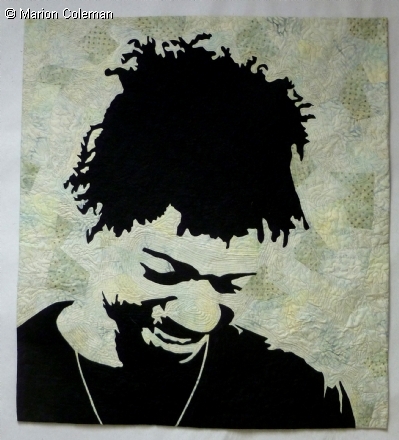 As I am both an artist and a quilter I’m blown away by the work. So very beautiful, emotional, and heartwarming. 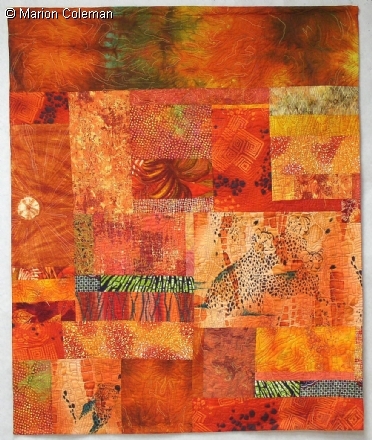 Your quilts are astonishing and breath taking. It is always refreshing to see our art and culture depicted in modern society, reflecting a time in history we should never forget. Thank You. Give us more! Give us more! 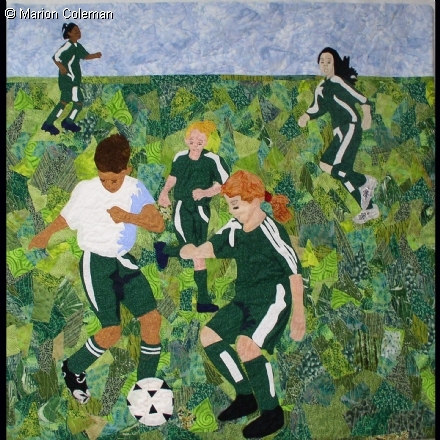 Dear Ms. Coleman, I love your quilts. I especially love the portrait of Faith Ringgold, Dancing, Downtown, Urban Jungle, Tender Gardens, Living in the Shadows, Serengeti, all of them. I too used to work in Family and Children’s Services. I live in SF so will keep my eyes out for your work. I love the picture on your website with your artist statement. I assume that is your aunt. Love them all; they are beautiful! Astonishing! Beautiful and so “painterly” as a painter would say! Would love to see your work in actuality though the photos are so vivid, so almost tangible. Especially love Dancing with the Blues, Spirit of a Man, Firestorm. Please come to Santa Rosa, Ca. and show your work!!! Beautiful work. Thank you for sharing them.